Director Rian Johnson posted some set photos from his upcoming movie. Maybe you've heard of it. Maybe two black-and-white set photos from "Star Wars: Episode VIII" isn't enough to get you champing at the bit. But the news that the cast and crew are halfway through filming just might. 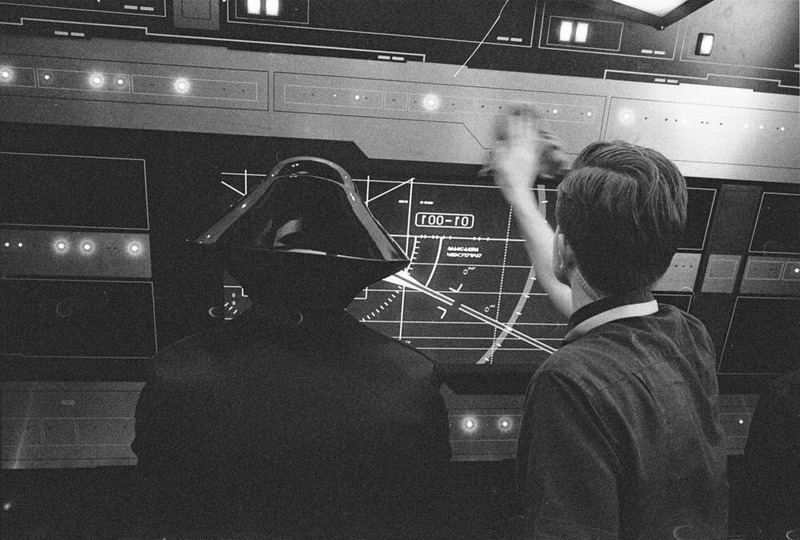 Director Rian Johnson celebrated the milestone by releasing a couple of arty set photos featuring an X-Wing and a control panel. Johnson posted the two set photos to his blog on Thursday, along with an announcement that the crew was halfway through shooting and an "Army of Darkness"-flavoured shout-out. X-Wing cockpits and control panels don't polish themselves. The conical helmet in the second photo, though. That shine is all natural. "Star Wars: Episode VIII" premieres on December 15, 2017. If that sounds like it's forever away, that's because it is.